Vintage was also reopened and restyled towards the end of 2015 and has come back with an interestingly unique and eclectic menu. The offerings include, a small selection of simple sushi rolls, and Western and Cambodian dishes. A personal favorite is the sharing platter with a selection of meats and cheeses, which goes well with the broad selection of wines available by glass and bottle. 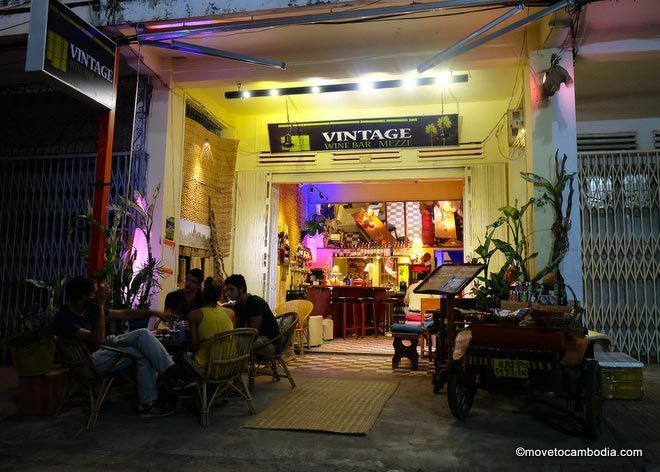 Vintage (Mezze) is a relaxing place to wind down in the late afternoon or evening, and ideally located on Road 2.5 for watching the world go by with a glass of wine. Part of Vintage’s charm is that it’s very different to anywhere else in town, making it that much more enjoyable. Occupying the location that was previously Dubai Cafe, opposite Lux Guesthouse on Preah Vihea Street, Chenda’s has recently opened it’s doors as a sister restaurant to the popular Ambrosia on Pub street. 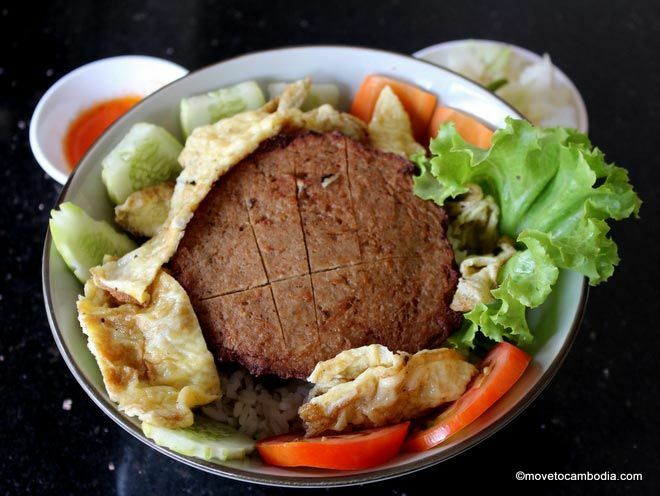 The menu focuses on Khmer cuisine, and each dish can be made with meat, fish, or tofu and vegetables, providing a broad range of options for non-meat eaters. Dishes are generally priced between $3-5, and draft beer is just $0.50. Inside there is an air-conditioned room, but the other tables also have a fresh and airy feel to them. The food is up to the high standard of Ambrosia, and service is friendly and efficient. For local dishes in a pleasant atmosphere I recommend Chenda’s. They also show a movie — generally kid friendly — in the AC room on Monday nights at 7:30 p.m.
Battambang’s Riverside Balcony has new management, a new menu, and a new lease on life. 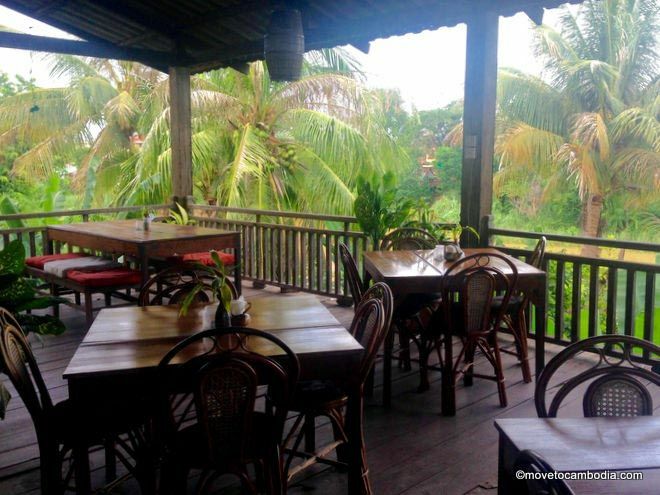 The Riverside Balcony, on Road 1 near Psar Leu, re-opened under new management in November 2015. Just as beautiful as it ever was, the old wooden house has a bar and restaurant area upstairs overlooking the river with excellent sunset views. The excellent pizzas start at $5, with creative toppings on delicious thin crust bases, ranging from the usual margarita and Hawaiian to more unique offerings including pumpkin and feta, lamb, chorizo, and more. Delicious vegan options are also available (more on eating vegetarian and vegan in Battambang here). The bar has adopted a friendly home-away-from-home vibe, and it’s a place where expats, locals, and tourists gather to connect and relax after a long day of work or sightseeing — if you’re looking to meet people, Riverside Balcony is a good place to do it, and the food is delicious to boot. The drinks menu offers a good selection from draft beers and house wines to some creative cocktails as well as a selection of whiskeys. Happy hour is from 5 to 7 p.m. and 6 to 9 p.m. on weekends. Reservations are required for groups. Battambang’s newest Italian restaurant — just opposite the Royal Hotel on Road 115 (near Psar Nath) — offers a large selection of pasta and pizza dishes in a relaxing street-side setting. La Casa is a more upmarket option for dining out featuring some gourmet dishes; the shrimp on the menu get rave reviews from the expat community. La Casa’s friendly atmosphere comes without the pretense of some of Battambag’s other higher-end restaurants. When eating at La Casa you feel that you are getting something unique for the price tag, which is a little higher than the average restaurants around town at $7-10 per dish, but worth it nonetheless. Overall, La Casa great place to treat yourself to something comfortingly different to Khmer food in a nice environment! Open daily, 9 a.m. to 11 p.m.
Open daily, 10 a.m. to 10 p.m.
Open Tuesday to Sunday, 4 p.m. to 11 p.m.
Open Tuesday to Sunday, 11 a.m. to 3 p.m. and 5 p.m. to 11 p.m. 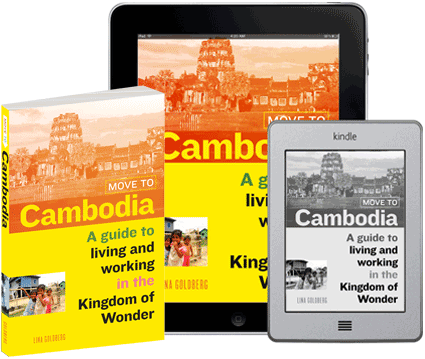 This entry was posted in Battambang, Food and tagged Chenda's, Riverside Balcony, La Casa, Vintage Battambang. Bookmark the permalink. Thank you for the wonderful article, Chendas is closed till June. We will be reopening with a new menu and new items that will be unique and exciting, but of course we will still maintain the old favorites.